Some real estate markets are rural and some are suburban. It’s rare that you can find both in the same place. Bonita real estate is just such a market. Located in Southern San Diego County, Bonita has everything a person seeking an active outdoor lifestyle wants, but doesn’t skimp on the modern homes and amenities. 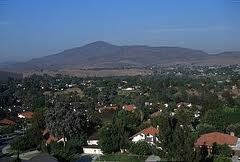 Bonita neighborhoods are attractive and close knit. The homes, most of which built in the 70’s, 80’s and 90’s, are emblematic of what you’d expect from the time period. Mostly single family houses and mostly cozy and inviting, you’ll find everything you could possibly want in a turn key home. However, the odd fixer upper is always available for the home buyer looking to take on a project. Living in the small town of just under 13,000 residents you’ll find that there is nothing the people of Bonita like more than to throw a good party. Bonitafest is an annual event held in the community that features the best arts, crafts, music and even theater Bonita has to offer. If you’re looking to integrate yourself into the fabric of this small town, than this is the place to do it. For you nature lovers, fear not. There is a wide variety of ways for you to enjoy the gorgeous landscape surrounding Bonita. 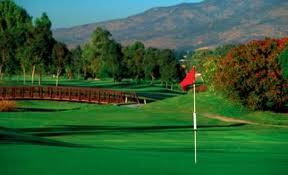 For starters many residents like to stroll along the path of The Chula Vista Municipal Golf Course. You’ll find plenty of friends every morning making the rounds there. But if you’re looking for more rustic ways to get your outdoor exercise you might enjoy the walk around the Sweetwater Reservoir Hiking and Biking Trail. One things for sure, you’re bound to find some way to break a sweat in beautiful Bonita. And if you’re looking for privacy, you can certainly make do with some of the more secluded Bonita homes in the area. And nobody has the inside track on these homes like OpenOffer.com. Of course, you can always search for the condos in the area. If you want to live in a community and like the idea of having neighbors nearby Bonita condos are definitely the way to go. Bonita, Ca. It’s more than just beautiful. It’s muy bueno.